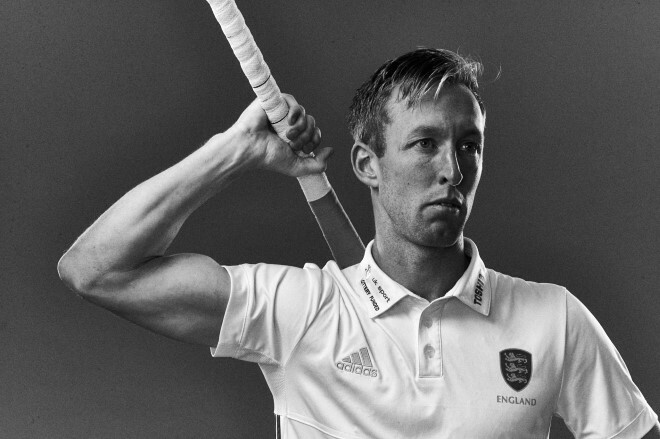 Barry Middleton – the most capped player in the history of Great Britain and England Hockey – has announced his retirement from international hockey. Barry’s 432 caps and 119 goals for Great Britain and England make him one of the greatest athletes in the nation’s history from any sport, let alone hockey, and we congratulate him on a fantastic career. Having played in four Olympic games, four World Cups, eight European Championships and four Commonwealth Games, the 35-year deserves his status as a true legend of the sport. He was named in the world team of the year on three occasions, and fittingly was nominated for FIH world player of the year in 2018, his final year in international hockey. Doncaster-born Barry finishes his career with global respect in the hockey world, not just for his ability on the pitch, but also for his conduct off the field of play; professionalism, selflessness and the manner in which he showcases the best of our sport. His leadership enabled him to captain the nation for the best part of a decade, leading England to EuroHockey gold in 2009, as well as skippering Great Britain at two Olympics, including fourth at the London games in 2012, the men’s team’s best Olympic finish since Seoul 1988. At club level, he has proudly represented Doncaster, Cannock, East Grinstead and Holcombe, as well as Der Club an der Alster in Germany, HGC in Holland and Ranchi Rays in India. Barry is currently enjoying an extended break in Australasia with his wife Beckie, who herself played 104 times for Great Britain and England. He said, “I have been thinking about this decision since Rio and now is the right time for me to step away from international hockey. Priorities in my life have shifted and I am excited to move on to the next phase. I feel I have given everything I possibly could to get the best out of myself in the last fifteen years, none more so than the build up to the world cup last December and I’m not sure I could motivate myself to that level again. “It has been an honour to represent my country for so many years and it has been a dream job for me. I hope people could see just how much I enjoy playing the game whether at an Olympics or with Sandy and Redders on the cabbage patch back in Donny. Thanks to everyone who has coached, played with or supported me during my career. I look forward to sitting back and watching Great Britain and England knowing that they are in a good place to challenge the best in the world and I will be supporting them every step of the way. Great Britain and England Performance Director Ed Barney added, “It is difficult to find the right words to articulate the contribution that Barry has made to the sport. Barry has embodied everything that the sport stands for: a consummate professional, an inspiring role model for everyone involved in the game and a genuine gentleman who is truly respected by teammates, opposition and staff. Men’s Head Coach Danny Kerry commented, “It was an absolute privilege to work with Barry during the short run up to the world cup. He is the epitome of world class, a phrase over used and often misunderstood, but not in this instance. He has taken a good amount of time to come to this decision, we have naturally supported him throughout that, now we will of course miss the many qualities he brought to the squad. Once Barry returns to the UK later in the year, Great Britain Hockey will arrange an appropriate point in time to publicly mark his retirement. We would like to again congratulate him and thank him for his service to our fantastic sport. This was an historic result in Rosario as the GB men put in a superb display to come away with another three points and make it three wins from four in the competition. Alan Forsyth was in fine form just a day after celebrating his 27th birthday; the Scotsman opening the scoring before another one late on. Sam Ward’s ruthless flick from a corner made it 2-0, before Phil Roper put GB three to the good. Paredes gave Argentina some hope, but Forsyth and Roper took advantage of the home side’s decision to remove their ‘keeper and seal a superb win. 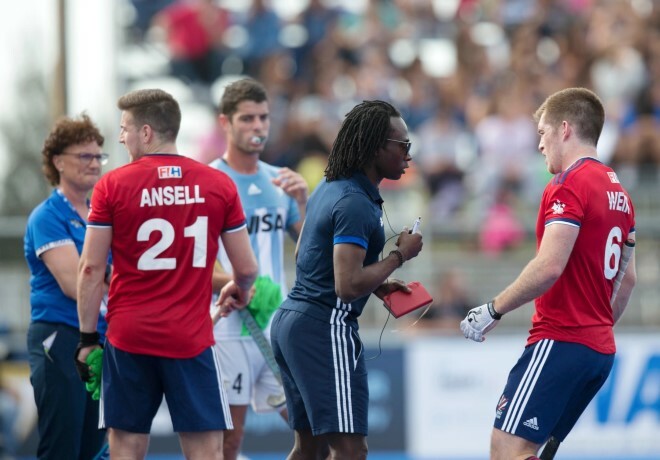 GB’s brand of attacking hockey was on full display, and with coach Danny Kerry given the opportunity to rest for this game, Russell Garcia and Kwan Browne oversaw a superb performance. GB now have the best goals-per-game ratio in the tournament with 17 scored in just four matches. Saturday May 4 sees London host the men’s first home game as they take on Spain at Lee Valley Hockey and Tennis Centre. Tickets start at £7.50 Under 18s and £22.50 Adults.